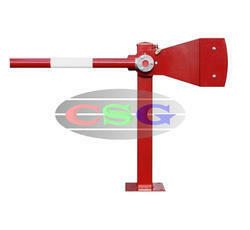 Prominent & Leading Exporter from Mumbai, we offer manual boom barrier and automatic boom barrier. We have marked a distinct position in the market by providing high-quality Heavy Base Boom Barrier which is operated manually with the help of springs and buttons on it. To make it visible at night reflective sticker are fixed on it. Packaging Details: Both standard and customized packaging (for Domestic and Export delivery) available. We have come up with an extensive range of Automatic Boom Barrier which is also provided with Manual release also in case of Power failure. 1) Provided with changeable Installation facility (left to right). 3) Well integrated with car parking system equipment. 4) Limit Switch which enhances complete safety. 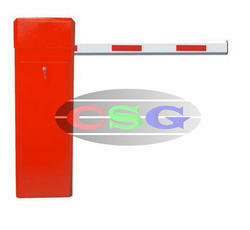 Looking for Boom Barriers ?